Want to know a great website for finding the best gifts for EVERYONE on your holiday list??? Then let me definitely recommend you to the Hammacher Schlemmer website where I could literally sit all day and look through their amazing selection and say time after time "I want that! ", "That is SOOO COOL! ", "I would LOVE that!". 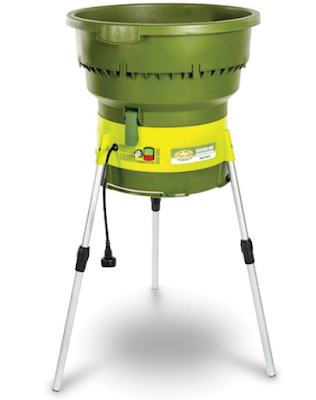 This easy-to-use, emission-free device shredded leaves quickly and neatly, earning it the Best rating from the Hammacher Schlemmer Institute. During testing, it chewed through 50 gallons of leaves in only 2 1/2 minutes—less than 1/10 the time required by inferior units—and unlike lesser models it did not choke on the occasional twig or let any leaf pass through unshredded. With a cutting system similar to an oversized weed trimmer, The Best Leaf Shredder’s powerful 13-amp motor and cutting line turned 4 1/2 bags of bulky foliage into a single compact bag of rich mulch—other devices could only reduce leaf volume by half. Elastic straps secure a plastic or paper bag under the polypropylene hopper, creating a tight seal that won’t allow debris to escape. This is the pickleball kit that sets up in minutes for fast-paced impromptu fun for two picklers. 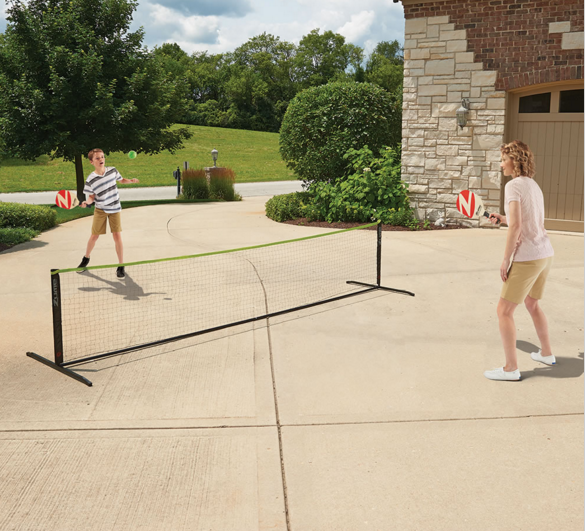 Only available from Hammacher Schlemmer, its 12' W x 26" H net sets up on any hard surface, such as a driveway, tennis, or badminton courts. Invented in 1965 on the U.S. Pacific coast, the game combines the volleys of tennis with oversized table tennis paddles, a badminton-size court, and a perforated plastic ball. You can purchase these items and MANY MORE from the Hammacher Schlemmer website.